Pamplin Media Group - Valfre: Taking a message to, and from, D.C. The above-referenced phase, attributed to former Speaker of the U.S. House of Representatives Tip O'Neill, is so simple yet crucial to good governance. Federal, state and local officials may enact policies and legislation, but if they fail to address the priorities and aspirations of their local residents, these actions will not promote a welcoming and thriving community. Two weeks ago, Forest Grove Mayor Pete Truax, Council President Tom Johnston and I traveled to Washington, D.C., along with other locally elected officials representing the League of Oregon Cities (LOC). Our purpose was to present face-to-face advocacy to our Oregon federal legislators on issues of great concern to our local residents statewide. We voiced four key issues requiring federal leadership and investment, to include: infrastructure Investment, affordable housing and homelessness, broadband and telecommunications, and tax and finance Issues. First, we asked their support for a comprehensive infrastructure plan that includes stable, long-term funding for transportation, water and wastewater facilities, as well as seismic resilience improvements to secure our water and wastewater storage facilities, roads, and bridges in event of a Cascadia subduction earthquake. Second, we asked their support for a sustained level of broadband investment to drive innovation, community and economic development, education, healthcare, and government services. We also enlisted their support to overturn an ill-advised FCC order, which would require cities to permit the location of small cell towers in the public's right of way without the authority to regulate the placement of such equipment. Third, we asked their support to repeal or revise the state and local tax deduction (SALT) cap of $10,000, which unfairly penalizes Oregon residents in filing federal tax returns, and to increase community development block grant (CDBG) funding so that cities can move forward on completing important public works and community development projects. income housing tax credit. Oregon is 155,000 units short of meeting its housing needs, which has led to an expensive housing market, pricing the most vulnerable out of housing. This situation will only get worse, as Oregon's booming economy and enviable environment encourage a record-level influx of in-migration. We also asked for their support to create a National Housing Stabilization Fund to prevent housing instability and homelessness through emergency rent assistance. As the chair of the State Housing Stability Council, I was asked by the League to provide voice to our comprehensive state housing needs. It was encouraging to see all our City leaders across the state boldly step up to articulate their citizens' priorities and needs, and to see how favorably our priorities were received and acknowledged by our Oregon federal congressional leaders. In addition to our "Capitol Hill Day" with federal legislators, we had invaluable opportunities to communicate with other city leaders from across the nation concerning mutual challenges and opportunities, along with exploring national best practices offering value to our residents in Forest Grove. One such opportunity was membership in the Hispanic Elected Local Officials (HELO) committee, where they voiced priorities promoting Latino empowerment, immigration reform, Census 2020 participation and equitable housing opportunities for communities of color. During our introductions, I felt particular pride in witnessing so many members proudly profess being the "first Latino or Latina mayor or council leader in their city's history." This keynote accomplishment truly represents a positive step toward greater diversity and inclusion within our cities. Yes, "all politics is local" — and we on your City Council cordially invite you to share your ideas, concerns and aspirations, so that by working together, we can enable our great city to become the welcoming and thriving environment that we all envision. 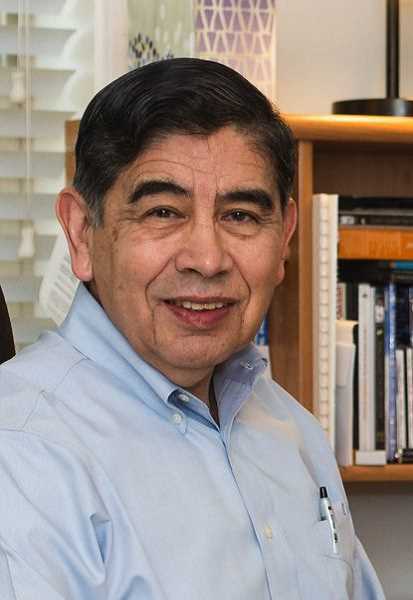 Adolph "Val" Valfre Jr. is a Forest Grove city councilor, chairman of the Oregon State Housing Stability Council and former director of Washington County Housing Services.